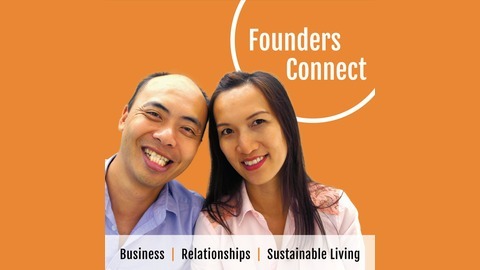 Founders Connect Podcast helps startup founders and lifestyle entrepreneurs to grow their business, develop a healthy relationship with their spouse, and build a sustainable life at home and in the world. Did you know that approximately 45% of marriages end up in divorce and 65% of all startups fail due to founder conflicts? We're here to change that. 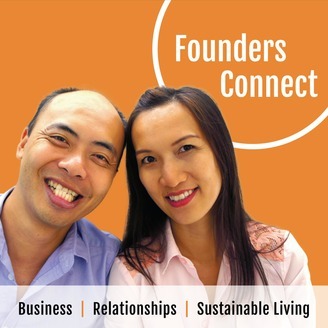 Each week we bring you an inspiring guest or practical tips to help you with business, relationships, and sustainable living. We prefer #realtalk. Our objective is to get real with our guests and have refreshingly honest conversations about the wonderful mess of being human. How do you take the skills and knowledge you have and make them into something profitable? Do you do packages, do you do offers? How do you package them? This episode is a little different as Anfernee does a live coaching call with Founders Connect Lab member and creative copywriter Dora Nikolaou. Do you struggle with being visible, and selling yourself online? If the answer is yes, then this episode is for you so listen in now. FC022 Is Marriage Necessary, and Is It Forever?